Integrating virtualised network, caching and computing into one system is becoming a natural trend to support very demanding emerging mobile applications. I have been exploring and contributing to these ideas since many years in the context of high-performance computing (HPC), DataGrids, Cloud infrastructures, Software as a service and the Internet of Things. In this talk, I propose to articulate the researches and developments I had the chance to conduct on this topic in academic, start-up and industrial environments, and to summarise the lessons learned from these experiences. I will then briefly present my new perspectives in the field of augmented intelligence for analysing and optimising fog systems integrating tightly networking and computing. Pascale Vicat-Blanc is senior scientist at Inria. After a career as Assistant Professor at Ecole Centrale de Lyon, she joined INRIA at ENS Lyon. As the head of the RESO project team she has supervised a dozen of thesis on advanced networking and Internet protocols and co-authored 150+ articles. She had a leading role in many national and EU initiatives like eToile with EDF and CEA, DataGrid with CERN, Geysers with SAP or SAIL with Ericsson and Orange. She helped with the creation of the national Grid5000 instrument as well as of the INRIA-Bell Labs with Nokia. She received the Joliot-Curie Award from the Ministry of Research in 2011 and the Innovation Award from Académie des Sciences, INRIA and Dassault Systems in 2013. In 2010, with a team of four PhD students she launched the Lyatiss startup for valorising their research results in the domain of IT infrastructure virtualisation and orchestration. Then, they launched a SaaS (Software as a Service) company in USA, CloudWeaver, extending the technology developed by Lyatiss with TCP sensors and machine learning tools to provide network performance insights to AWS and GCE customers. Then, acquired by F5 networks (FFIV), they integrated CloudWeaver analytics pipeline with the F5’s MANO platform. 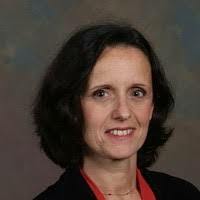 After that, Pascale was appointed as the F5 IoT initiative leader to define the IoT strategy and products of the company. Since September 2018, Pascale Vicat-Blanc is back to France and INRIA. Member of the Agora team, CITI lab at INSA, she is starting new researches in the domain of fog computing and networking for smart cities.